Previous studies have reported the occurrence of a Redfield-type ratio (e.g., C/N/P, C/N, C/P, or N/P) between C, N, and P concentrations in marine and (in part) terrestrial ecosystems. Herein, we aimed to determine whether a similar Redfield-type ratio can occur in farmland soil, as well as to elucidate how the C, N, and P ratios change with farmland-use types, soil physicochemical properties, and environmental factors. 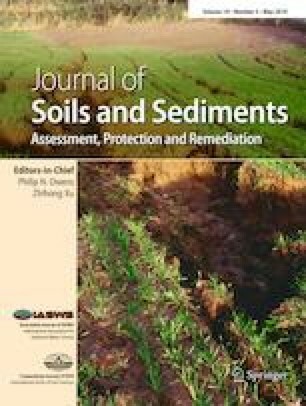 The stoichiometric patterns of soil C, N, and P in farmland were analyzed based on 6150 samples (0–20 cm) collected in 2012 by the Soil Testing and Formulated Fertilization Project in the Poyang Lake region of Southern China. The average soil C/N/P ratio in farmland of the study region was 98.4:16:1, which was slightly lower than the Redfield ratio of 106:16:1. There was no significant correlation between the concentrations of C, N, and P, indicating the absence of Redfield-type C/N/P, C/P, and N/P ratios. In contrast, the correlation between the concentrations of C and N was significant, indicating the presence of a stable Redfield-type C/N ratio in farmland soil. The average soil C/N, C/P, and N/P ratios corresponding to various farmland-use types showed significant differences (p < 0.01). In addition, all three ratios showed significant correlation with the latitude, soil pH, and mean annual precipitation. There are no stable Redfield-type C/N/P, C/P, and N/P ratios while a stable Redfield-type C/N ratio exists in farmland soil in the Poyang Lake region. We urgently need to carry out ecological control experiments and field fertilization observations to understand the relationship between the stability of soil elements and fertilizer application in farmland. The online version of this article ( https://doi.org/10.1007/s11368-019-02317-3) contains supplementary material, which is available to authorized users. This work was supported by the National Key R&D Program of China (Grant No. 2017YFD0301603).